Our water damage Jamestown techs at 911 Restoration of Greensboro know everything there is to know about flood and leak mitigation, making us your first choice for home restoration services. Not only are we experienced in the field, but we are available around the clock, staying available 24/7/365, so you can literally call us anytime to schedule an appointment. If you are dealing with a water emergency, our water damage Jamestown experts will get to your home within 45 minutes to begin remediation procedures. Call our water damage Jamestown professionals today and we will get the process started with a free home inspection as soon as we arrive on the scene. If you notice water stains on your ceiling or walls you may have no idea how it got there. It can be easy for moisture to invade your home without you knowing it, especially if it was caused from a plumbing issue that was out of sight area. Even if you don’t know the cause of the water damage, the important thing is to get the leak repaired and the damage restored by our water damage Jamestown team as soon as you do realize the problem. We know exactly what to do when we arrive on the scene, because we have seen it all over the years, making us a trustworthy source to always make the right decisions. Homeowners can rest assured that our water damage Jamestown staff will always do their best to salvage your possessions after they have been saturated with water. Call us once you notice a leak in your home, and we will get there immediately to get your home back on track. It is important to our water damage Jamestown technicians that you feel satisfied with both the work being done on your property, as well as the level of customer service that was provided throughout the process. We aim to consistently provide you with the best customer service in the industry, because we know how vulnerable you are during this time and want to make you feel secure. If your house is in need of major repair, you can trust our water damage Jamestown agents to be your emotional support while we work to restore it back to its original condition. There is no job we can’t tackle, so no matter how big it may seem, and we want you to have peace of mind knowing that once we are on the job your home is in the best hands it can be in. 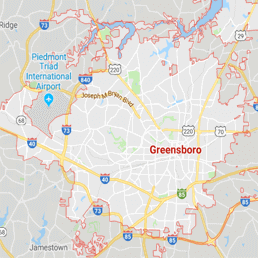 Call our water damage Jamestown specialists at 911 Restoration of Greensboro and we will support you emotionally and repair your home thoroughly today.